Method of using HTML5 Canvas as a background image. Not currently part of any specification. At first sight a canvas looks like the img element, with the only clear difference being that it doesn't have the src and alt attributes. Indeed, the canvas element has only two attributes, width and height. These are both optional and can also be set using DOM properties. When no width and height attributes are specified, the canvas will initially be 300 pixels wide and 150 pixels high. 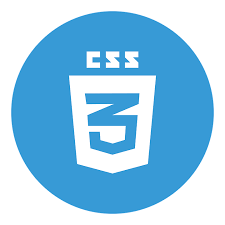 The element can be sized arbitrarily by CSS, but during rendering the image is scaled to fit its layout size: if the CSS sizing doesn't respect the ratio of the initial canvas, it will appear distorted. With LambdaTest you can test your website on 2000+ browser and OS combinations for cross browser compatibility issues and ensure that your webpage fallbacks are working fine on browsers that do not support CSS Canvas Drawings. Chrome browser version 4 to 47 partially supports it with prefix -webkit-. Chrome 48 to 67 doesn't support this property. This browser property is not supported Safari browser version 3.1 and 3.2. Later version 4 to 11.1 partially supports it with prefix -webkit-. Microsoft Edge browser is not compatible for this web element. Opera browser version 15 to 34 partially suppot this property with prefix -webkit-. Other Opera browser versions doesn't support it at all.